Marc Taylor-Olsson's Pseudacanthicus catfish won Best in Show with 86.33 points. 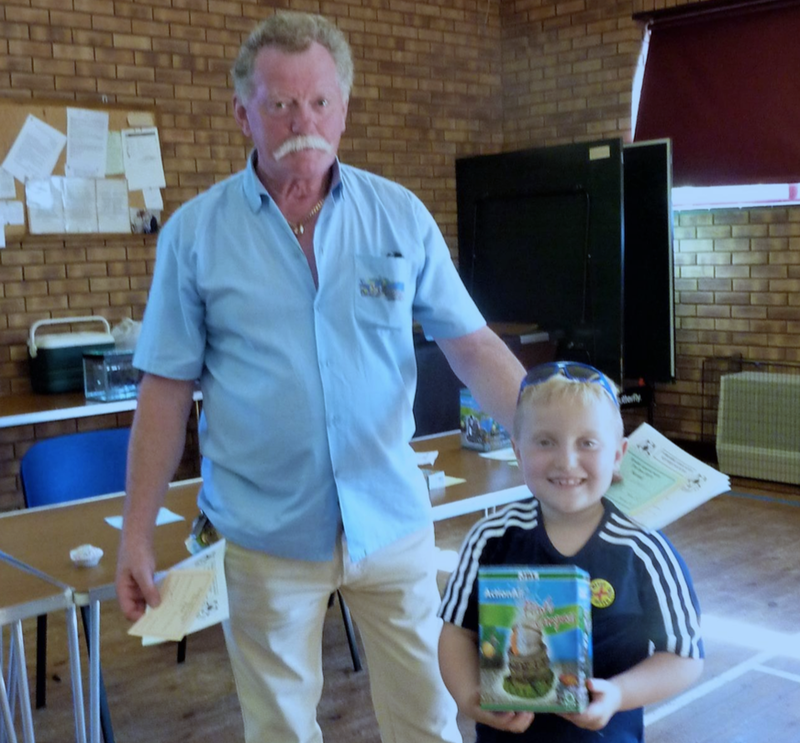 Ryedale Aquarists Society's 17th Open Show and Auction was held at Kirby Misperton Village Hall in North Yorkshire on Sunday, June 18. Despite it being Father’s Day (and the hottest day of the year so far) the show had record numbers of entries, auction items and visitors. There were also younger aquarists taking part. The Best in Show was a Scarlet plec (L025) from Brazil, owned and developed for the last three years by Marc Taylor-Olsson. He is the grandson of a founder member of the Ryedale AS and this was his first entry to a fish show. Marc receives his award from Steve Jones of the Yorkshire Association of Aquarist Societies. Another young aquarist was Ollie Blackburn of Sheaf Valley AS who won a First with his killifish Nothobranchius rubbripinis. ...and here's Ollie's winning killifish. There were 254 entries, all judged by the YAAS judges, Trish Jones, Trevor Douglas and Kevin Webb. Steve Jones also ran the auction to an audience of 70 visitors. There were over 26 lots, which took most of the afternoon. As always, there were hot and cold beverages all day, a grand raffle and aquatic goods on sale by Fishphilosophy. An albino Rainbow shark, Epalzeorhynchos frenatum, took a First with 84 points. In Loaches the First was a Pangio pangia with 84.5 points. Best cchlid was a Rift Valley Aulonocara baenschi with 85 points. The Best Exhibit under YAAS rules is the highest pointed fish in the Pairs class. This was won by Bede Kerrigan of STAMPS (South Tyneside) with a pair of Puntius spp. With entries from STAMPS, Southend, Bradford, Ashby, Otley, and more, the Open Show was a success and Ryedale are looking forward to the next one. This will be their ‘Fun Day’ with lectures and competitions as well as a Mini-Open Show at the same venue: Kirby Misperton Village Hall, YO17 6XN — on Sunday, July 23, 2017.